Susan Washington believes in the power of innovation, education and entrepreneurship built on solid relationships – just like she learned in her hometown of Winnipeg. She is a business owner, certified executive coach, leadership expert, teacher and speaker, with 25 years’ experience in her field. Susan builds and facilitates leadership programs and is a passionate volunteer, coach, mother of a son and a daughter, and a committed fitness and yoga enthusiast. Susan recently joined the leadership team at the Women’s Enterprise Centre in winning the 2012 Canadian Mentorship Challenge prize. 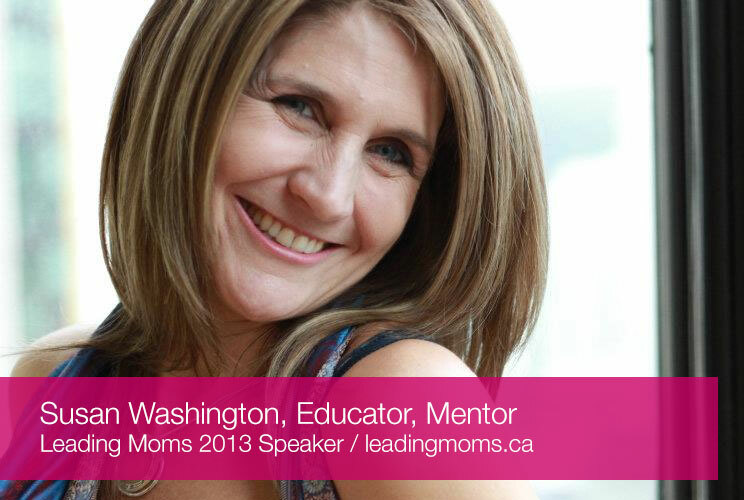 She has also facilitated mentoring and leadership programming for the Minverva Foundation Combining Our Strengths Program, volunteered with the Canadian Congress for Learning Opportunities for Women, and is former chair of the Women in Leadership foundation Vancouver chapter. Watch for Susan on WTN or in the woods of North Vancouver.